The book for me was a piece of art. Although I am not familiar with Dessen's novels I have to say that she did a great job when it comes to character development and realism. All the characters have human traits and no one is perfect there is so much diversity that I believe anyone can relate himself to one. Not lot of authors have the ability to do that. There is the girl that cares about all, the b*** who is also sentimental deep down, the overly attached - overly worrying mother and of course the awesome but douche boyfriend and the cool friends and sister. I found all the characters funny and clever (except a certain person who in the end turned 160 around) thus the book has a good sense of humor and i like funny books. What I didn't really like was the story. I saw the whole book but I continued reading because I went through a same phase when i was leaving for college a couple of years ago. 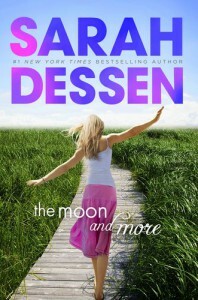 I liked that Dessen showed how a departure of one person can change not only his life but others too. 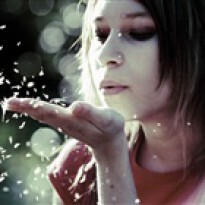 How everyone is start seeing this person and how they try to figure out how to treat him. As an adult or as a child? Through my experience this is the worst thing that can happen to a parent - the kid wants freedom the parent refuses to see that due to fear of what might change. The writing was really really good and I felt like i was walking around Colby and i liked that a lot!!! I am sure the book will appeal to anyone that is ready to leave for college and also likes summer readings.